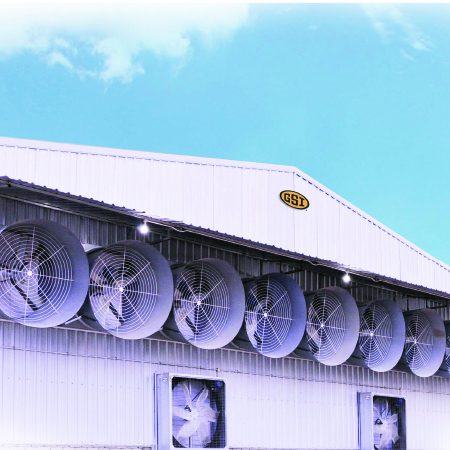 Cumberland ventilation systems are the perfect solution for more efficient, high performance, climate control in poultry production facilities. Our equipment has been field refined and industry proven to be extremely effective in reducing bird stress caused by overheated or poorly ventilated houses. Even if your building is well ventilated, inefficient equipment can blow healthy bird profits right out the window. If you’re looking for a better return on your investment, look for Cumberland, your ventilation company. 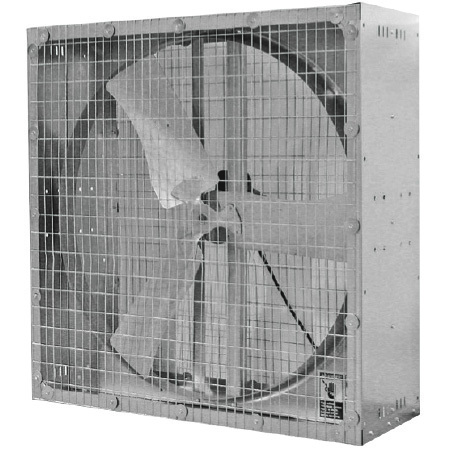 Cumberland offers 50” and 52” galvanized steel belt drive slantwall fans to efficiently and effectively maintain optimal environmental conditions. All galvanized fans are constructed of heavy gauge, G-90 grade galvanized steel and use high efficiency motor for continuous duty cycles. 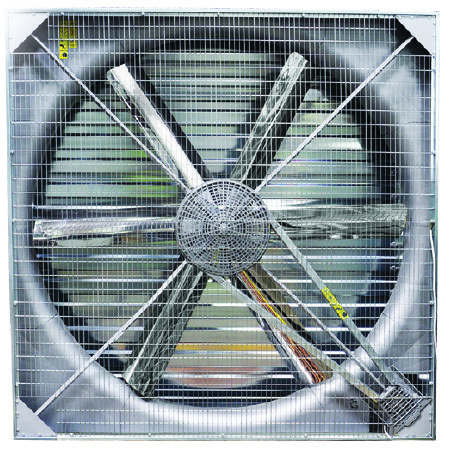 Galvanized fan propellers are aerodynamically balanced for maximum air flow. Cumberland offers 36” and 50” galvanized steel belt drive fans to efficiently and effectively maintain optimal environmental conditions. All galvanized fans are constructed of heavy gauge, G-90 grade galvanized steel and use high efficiency motor for continuous duty cycles. 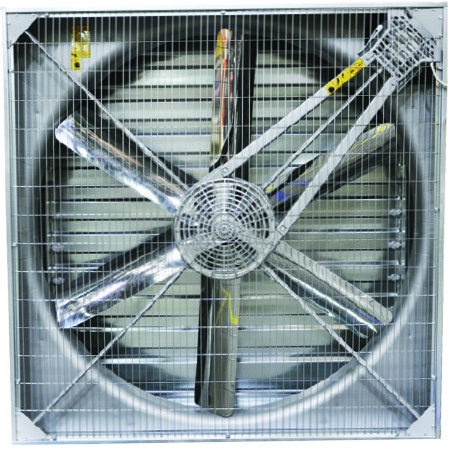 Galvanized fan propellers are aerodynamically balanced for maximum air flow. 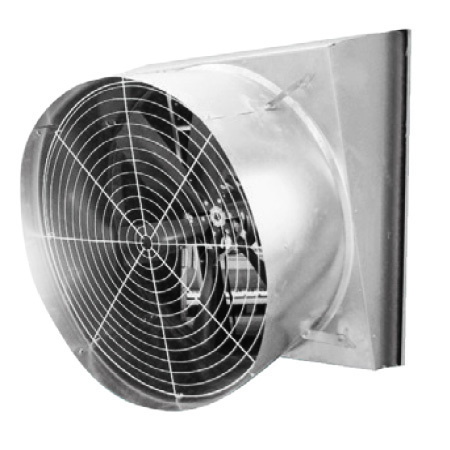 GSI 51” and 69” Euro fan are designed for multiple applications and provide excellent air circulation. Optional discharge cones can boost fan output by as much as 10-15%, greatly increasing efficiency. Made of all galvanized steel, cones are available in easy to ship and assemble four-piece segments for 36”, 50”, 52” and 54” models. Available in a variety of sizes and materials, we have a shutter to fit your particular requirements be it low light, low maintenance or low cost. The true airfoil design of our shutter blades make them extremely effective allowing for very little performance loss. Simple to install and built to last a lifetime, Cumberland shutters can provide an easy and affordable means of controlling incoming light and building climate. Cumberland’s PVC shutters come in white or black and are very low maintenance and easy to clean. The black shutters are used in reduced lighting applications. Aluminum shutters offer great durability in any environment. They have no parts to rust and are practically maintenance free.. 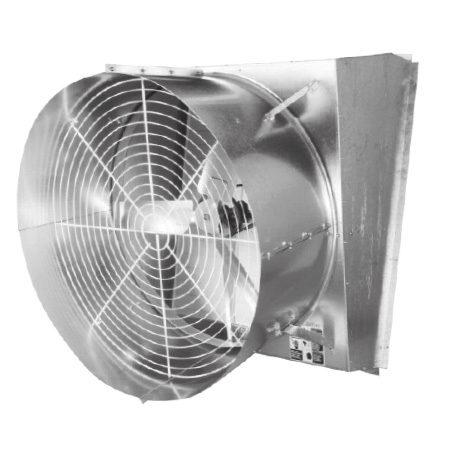 The Mega Flow External Damper Fan (Mega Flow ED) follows in the footsteps of its top of the line Mega Flow predecessors, boasting the industry’s highest performance in a galvanized fan. The External Damper line has been completely redesigned and engineered from the ground up to insure optimum levels of both quality as well as performance. Increasing air flow during operation and providing an unsurpassed complete seal when closed. Our innovative AddAire butterfly style shutter system comes in standard on all Mega flow ED models. Due to the fact that minimal dust and debris is collected b y the AddAire Shutter, the efficiency and performance of the unit will remain at their optimum levels for the life of the fan. 50″ and 52″ galvanized steel belt drive slantwall fans to efficiently and effectively maintain optimal environmental conditions.